Spring isn’t just a season of change and renewal. In the realm of birding, it might also be the season for Big Days. With all of those birds singing and showing off their breeding colors, it’s no surprise that we see major bird races like Champions of the Flyway and The World Series of Birding, along with other main birding events like the Global Big Day. In the northern hemisphere, the combination of migrants, resident species, and higher frequency of bird song makes it much easier to identify more birds, compared to say, August, so if you want to get really crazy and go for a Big Day record, spring is the time to go for it. 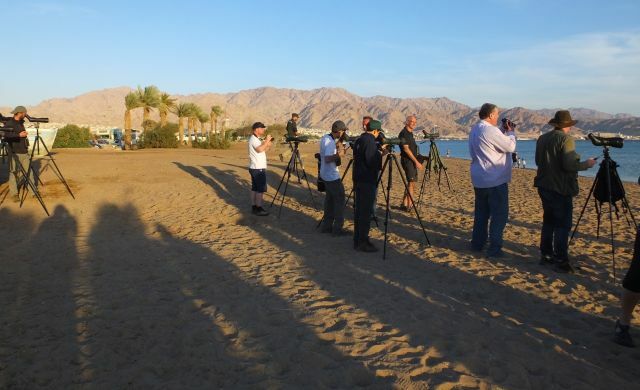 Looking for terns, White-eyed Gulls, and other seabirds from North Beach, Eilat, Israel during Champions of the Flyway. It can’t be any time in spring, though. We have to figure out when the highest numbers of migrants coincide with resident breeders to increase the probabilities of breaking the previous record, or to at least hit your Big Day birding goal. Probability is what we need to take into consideration when plotting a Big Day, no matter where one plans on getting loco with massive bird identification because upping the odds determines whether or not we see a few rare species, or a higher percentage of common birds along with enough outliers to put your name on a personal imaginary trophy (or a real one if participating in a bird race). Up north, strategies for a Big Day have to include knowledge of sites for breeding birds, the best places to find migrants, driving times, and the ability to identify by sight or sound, anything that peeps, flies, or pops into view. Knowledge of constraints like road work and access also need to be taken into consideration as well as picking the best driver, food and drink (chocolate, coffee, energy bars, coffee beans) for the day, the right participants, and whatever else is needed to maximize birding time in the right places. When to do it: After trying several Big Days during winter and spring, I have to admit that this might not be the sole best time to do a Big Day in Costa Rica. Spring is good because more birds tend to be singing and there is a chance for migrants. However, it’s also a big risk because unlike up north, we don’t get as many species of migrants, and they aren’t as predictable. Winter seems to be better because it provides a chance at a significant number of wintering species, even though there might not be as much bird song. Summer is not the best time for a Big Day because common wintering species are out of the picture but what about fall? Well, late fall might actually work because the wintering birds are back but resident species might not sing as much and rainy weather might cancel the Big Day even before it starts. That said, last fall, all of the right parts fell into place for Ernesto Carman and Jairo Jimenez on October 15th when they identified 351 species in Costa Rica in less than 24 hours! 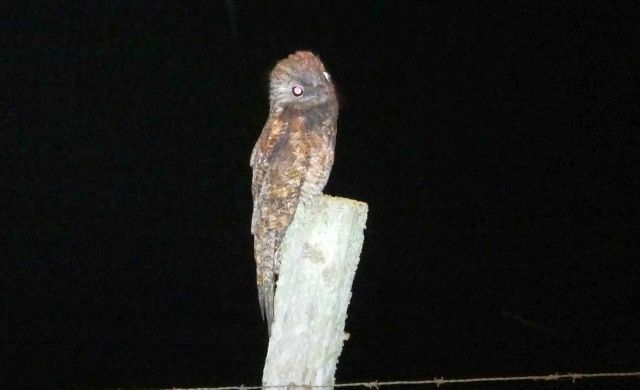 They got all three potoo species in Costa Rica. This Great Potoo was from my Big Day on April 24th. 1. Go from good Caribbean foothill forest, up through cloud forest, and down to dry forest and a good shorebird spot. 2. Caribbean lowland forest up through cloud and high elevation forest, and then down to a good shorebird spot. 3. Pacific lowland rainforest near an ecotone of dry forest and estuarine habitats (the Carara area), then on up to high elevation forest, cloud forest, and foothill forest (at the moment, I am leaning towards this one simply because it seems to give the best chance at the most bird species in the least amount of time). Driving times and routes: In Costa Rica, always a major constraint and a risky endeavor when attempting to keep a tight schedule. Road work is possible as are traffic jams caused by too many vehicles, accidents, fallen limbs, or who knows what else. The only way to counter this is to scout the route just before the Big Day, have a secondary route, and be ready to bird in place if the car gets stuck behind a Mack truck. How much time for each spot: After assessing my previous Big Days in Costa Rica, I realize that I have probably not allocated the proper amount of time for each given stop, as well as including too many stops that result in too few birds. Time is the biggest constraint of any Big Day and with the 12 hours of daylight we get in Costa Rica, you have to be especially careful with that ticking clock. At super diversity forest sites, you will never get every species in the forest even over several days of birding so you can’t just stay at a site until everything shows up. Most species are naturally rare, and several are just a royal pain to detect. 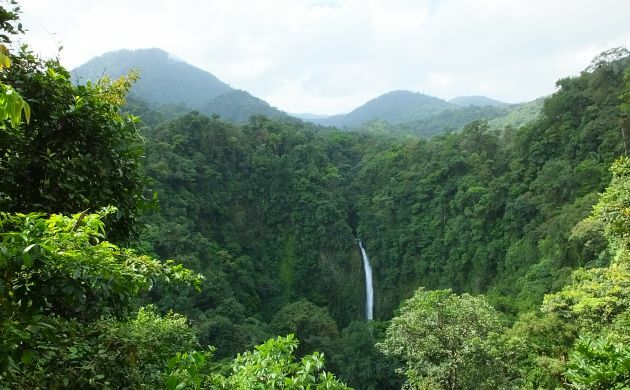 But, by allocating more time to the areas with the highest diversity (in Costa Rica, these are humid forest ecosystems situated at different elevations), you increase your chances of detecting more species. Dry forest and wetlands also have birds but not nearly as many. Targets or habitat? : Since so many of the species in Costa Rica have low density populations, I am tempted to go for habitat over specific targets. In other words, the number of possibilities makes it worth it to allocate more time to foothill rainforest in the hopes of adding 10 or 20 species rather than making a stop for one possible Tropical Mockingbird. That said, it is important to know which target birds are possible at each major stop, and scouting is just as important in Costa Rica as it is in the boreal zone. A site like this merits more time than dry forest and second growth. Scouting: Yes, and best just before the day of judgement. Even though tropical birds can be unpredictable, the more territories you know about, the more likely you will get them on the Big Day. Scouting can also turn up rare birds, fruiting and flowering trees, and maybe even an owl roost. Dawn chorus: Essential for any Big Day but the number one factor for doing one in Costa Rica and other tropical regions. A lot of those forest birds vocalize at dawn and this makes for the quickest, easiest way to get literally dozens of species, many of which would be very tough to quickly find later in the day. For example, I recall some fine memorable mornings at the Tambopata Research Center where I walked into the forest, sat on a bench, and identified more than 120 species before breakfast, almost all of them by sound. In Costa Rica, similar mornings are possible but you have to be in the right place, right at dawn. Mix a good dawn chorus with morning birding in forest and second growth and you can get the Big Day off to a fantastic start. This is why I have started the past couple Big Days at the Pocosol station in the Children’s Eternal Rainforest. It’s one of the best forests I know of in Costa Rica and has had probably the best dawn chorus I have ever heard in the country. That said, this year, it barely happened, and that disturbing experience brings me to my next point. Declining bird populations: Although this wasn’t really an issue in the past, sadly, I am convinced that it has become a sad, disturbing constraint when birding in Costa Rica. Yes, we have a good deal of protected, accessible tropical forest but what we don’t have is an immediate way to lower temperatures and increase the rains. The effects of higher temperatures and drought in forests that are adapted to four meters of rain per year, for probably thousands of years, seem to be showing. We see and hear fewer birds in those forests and this year, dawn choruses were very quiet in places that experienced truly fantastic morning song at the same time three and four years ago. Coming back to a Big Day, this very sad and frustrating situation means that it will be that much harder to detect more bird species. We still managed to see Emerald Tanager. Make a goal: Investigate possible routes, take into account the amount of time possible at each spot, the percentage of common versus rare species, and come up with a reasonable number. If you have the right field skills, I think that 350 plus is still possible in Costa Rica, 400 at the most (given a lot of luck), but there’s nothing wrong with settling on a lower number, especially if you stick to a smaller area of play. At this time, I am thinking about trying a Big Day this fall season but I need to see if there is a suitable dawn chorus site first. Eventually, I would love to see an international three day bird race in Costa Rica. Hopefully, we can make that happen! Thanks for the good advice! I want to go birding in Central America and have been wondering when the best time would be. 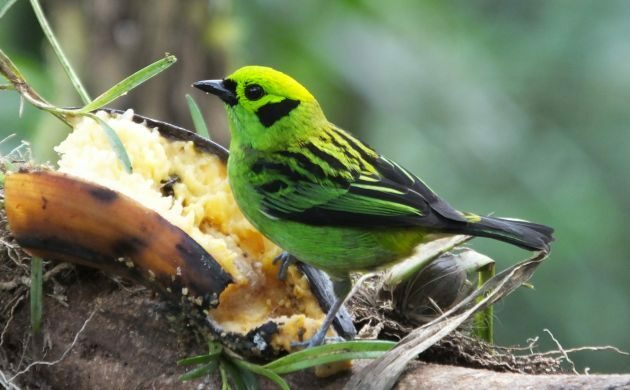 And that Emerald Tanager is amazing! But Does It Keep a Life List?